Birdwatching Tourism Sector in Rwanda: The Need of Self-learning and Self-improving for the Future of Wildlife Tourism Development? This chapter will focus on one, a rather specific but popular type of wildlife tourism, that is known as birdwatching tourism. Within Rwanda, the proposition of enjoying nature and more specific wildlife has traditionally focused on the observation of mountain gorillas in their natural habitat, but this resource has a certain scarcity and limitations, and only allows for a restricted amount of visitors. However, the composition of the bird fauna of more than 700 species (Van de Weghe and Van de weghe in Birds in Rwanda, an atlas and handbook, Rwanda development Board, Kigali, 2011) on an area of only 26.338 km2 (10.169 sq. miles) seems to offer new possibilities for tourism product development and might even contribute to the creation of employment opportunities for the local population. But this possible development depends on certain factors ranging from political will and infrastructure and other facilities to the training of local guides, to name but a few and can only be accomplished when the hosts have a clear picture of demands and expectations of their bird watching guests. 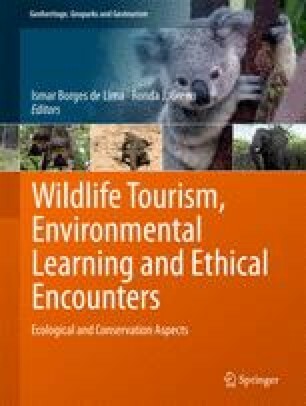 This chapter offers a first attempt at classifying these guests, based on both international examples and an overview of the Belgian-Dutch bird watching travel market and offers some recommendations on how to proceed with the marketing of these natural resources. For this chapter, a mixed method approach, among them desk research, interviews with Dutch and Rwandan stakeholders and participatory observation was used to collect the relevant data.